Keep your readers up to date, with EmailOctopus. Send campaigns to let your readers know of a new book release. 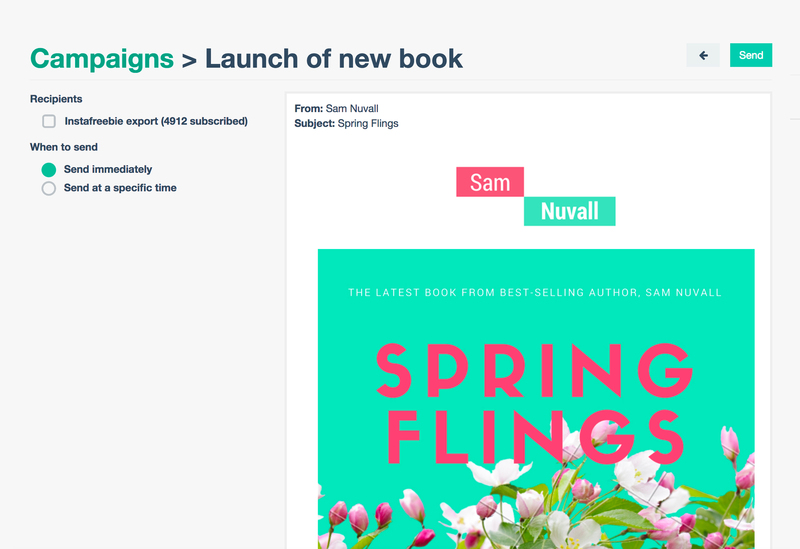 Copy in your HTML from your existing newsletters or use our beautiful responsive email templates to ensure readers love all of your campaigns, no matter which device they're opened on. EmailOctopus offers automation, allowing you to build drip programs for your new subscribers. Why not offer your readers a free sample chapter of your book and automate a series of follow-up emails? If you've already sold books, you may want to keep your loyal readers up to date with future releases. 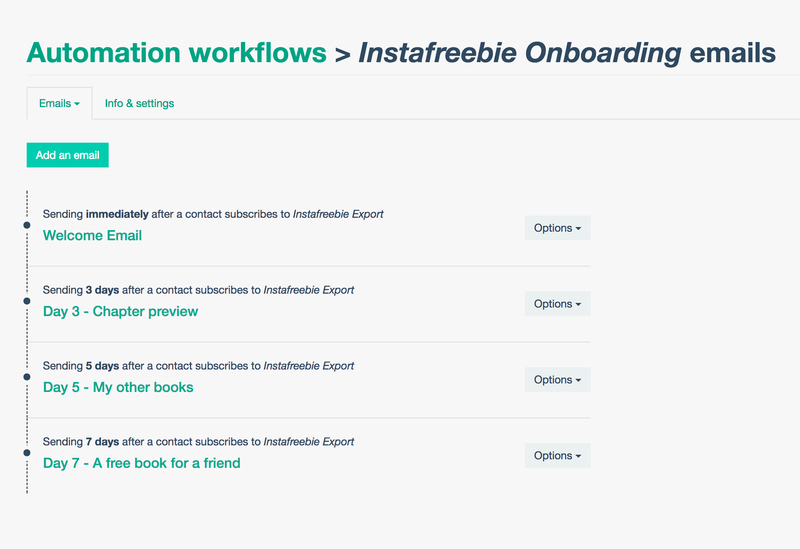 EmailOctopus integrates with over 500 apps, via a Zapier integration, meaning you can keep your customer list from Gumroad, Payhip or Shopify in sync with your email marketing list. EmailOctopus makes it incredibly easy to track the performance of your campaigns in near real-time, allowing you to adapt design and content to deliver the best experience for readers. View Click-through Rates, Open Rates and Bounce rates on a campaign basis, to deliver the optimal emails at the right time. Why pay more to contact your readers? EmailOctopus is the most affordable email marketing platform available, offering the essential email marketing features at an incredibly affordable price point. Compare our prices with some of our competitors below. Prices are estimated on an average of one campaign a week. For an exact calculation, try our savings calculator. EmailOctopus price includes Amazon SES fees. We regularly check the prices of our competitors, but please contact us if you spot any discrepancies.